Abide Health Solution LLC is a Nursing Agency dedicated to providing quality Home Infusion and Infusion related services to our patients and clients. Our services are highly ideal for patients who are not acutely sick enough to be in a hospital and patients with chronic illness on a regular basis. Home Infusion Therapy is very safe and cost effective for patients – not to mention the convenience it offers to both the patient and his or her loved ones. Infusion therapy in the home setting is less stressful and the chances of getting an infection in a home are extremely low when compared to a hospital setting. Medical Practitioners and Insurance Companies prefer for their patients to receive their Infusion Therapy in the comfort of their home as well. 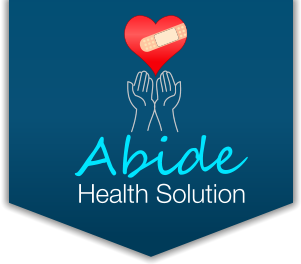 This is where Abide Health Solution comes in. If you are a patient or a Specialty Pharmacy looking for experienced nurses to provide infusion therapy in New Jersey and the Philadelphia area, Abide Health Solution LLC is here for you. Please let us know how we can assist you! We can be reached by phone at 609-288-6116. Or, you can also submit your inquiries online. Don’t hesitate to use our Contact Form to send a message or leave your information so we can get in touch with you.